I won an Advanced Reader's Edition of this book through Goodreads First Reads (although I probably would have bought it anyway) and it is now one of my favorite books I've ever read. There is something so exquisite and eloquent about the way Shana Abe writes - some of the imagery doesn't necessarily seem realistic coming from a 16-year-old, but I was too caught up in the beauty to really notice or care. Beyond the glass of my window the night was now amethyst. Infinite amethyst, deep and dark with a ripple of stars winking over the obsidian break of the forest paralleling the tracks. I found that depth of purple sky mesmerizing. Nights in the city were always gray or black or the color of the streetlights. Always. So I wasn't sure why this particular hue—those stars, the jagged line of trees—was so familiar. I must have imagined it this way, I decided. I read so much. I must have read of amethyst nights and imagined it. Ugh, why is that so beautiful?! This is the first I've read of Abe, but I'm definitely going to be reading her Drákon series in the near future, as well as The Deepest Night when that is released. The Sweetest Dark takes place in World War I England at Iverson, a prep school for daughters of wealthy families. Lora, our heroine, is an orphan who doesn't remember her past and is thought to be crazy by the people at her orphanage. At the beginning of the book, Lora finds out that she has been given a scholarship to attend Iverson. Throughout the story, she gradually finds out who she is and tries to uncover her past while also falling in love. Lora is probably the greatest heroine I have ever read. Not only is she strong, determined, and headstrong like most heroines, but she also has this nefarious side to her - she is not afraid of what people think of her and couldn't care less about how she is "supposed" to act. And she is so sassy. She pretty much always has a witty reply to anyone's attitude or rudeness. Even when she's outnumbered by all those rich girls at Iverson, she still tells them off regardless of the consequences. "Call me anything you like," I answered, pulling out my chair. "I certainly understand how someone with such an abnormally tiny head would struggle to remember even the most undemanding facts. It must be quite a burden for you." I just... I love Lora so much. She is perfection. Of course, one cannot forget the two love interests: Jesse and Armand. Oh, Jesse. He is a dreamboat. He is compassionate, understanding, loving, handsome, sweet... I could probably go on all day. Jesse is the one who helps Lora figure out who she is and acts as her guide throughout the book. Armand, on the other hand, is brooding and snarky. A lot of Lora and Armand's interactions in the story are through witty banter, which both adds to their personas and gives a bit of humor to the story. When Armand and Jesse interact, it is especially intriguing because the two couldn't be more different. So, basically, this book is awesome. The characters and the relationships are so well developed, and the plot will keep you engrossed all the way to the end. Although the ending was bittersweet (and I may have bawled my eyes out), the story was absolutely captivating and I cannot wait to get my hands on The Deepest Night. Okay so I'm not going to as fancy as the White Queen over here with her quotations (mainly because I have no copy of the book to call my own because I'm lazy) and pretty formatting, BUT, I love this novel. I fell absolutely for the romance and got swept away by the action, held in abrupt, rapt abeyance from the suspense, and . . . well, you get the point. The Sweetest Dark is enrapturing mainly because of the rich story-line and deep romance, delivered constantly with beautiful (I am at odds for a word more precise than this), near lyrical description. The depths this book penetrates into its characters you will find in yourself. Like, damn, I didn't know I could feel so bloody much for a character until Jesse . . . Anyway. Some books are engineered meticulously and the result is fascinating; The Sweetest Dark feels crafted from starlight. So my review has the added bonus of no fancy quotations and pretty words like "crafted from starlight." Okay? Okay. Let's get down to business. Putting it simply, I fell in love with this book from the first page. I'll admit, I wasn't expecting it to be anything special, just the same old love triangle based story I've read a thousand times. Boy, was I wrong with a capital W.
Shane Abé writes with this beautiful eloquence that makes her words seem like they're melting into one another. Her writing is, for me at least, impossible to put into words. You have to read it yourself to understand just how her words feel like ribbons of melodic magic, surrounding you as you read. Honestly, I could read a story about paint drying and thoroughly enjoy it if it was written by Shana Abé. The Sweetest Dark is, however, not about paint drying. The storyline is just as fascinating as the writing style. Abé finds the perfect balance between focusing on the romance and on Lora's own personal journey. As the plot advances, she keeps the mystery up, revealing plot twists that you might never have expected. As the action progresses and we learn more about the characters, the romance progresses too. It isn't abrupt and out of nowhere, and Lora isn't a vapid "Oh my goodness, I love two boys, what on earth shall I do" type of character. Every moment is filled with passion and wonder, and you realize you've formed such close attachments with these characters that you can't bear to close the book once you're done reading it. 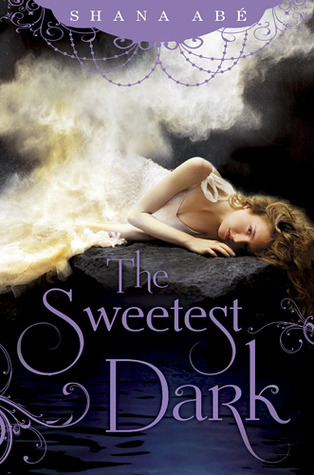 The Sweetest Dark is definitely a book I'd recommend to everyone. I laughed so hard I cried at some of Lora's witty comments and I cried to no end at the bittersweet ending. Shana Abé did not fail, for a single moment, to deliver an entrancing and alluring story that leaves me craving more. How would you feel if you woke up one day and didn't remember anything about your past? When my mom lets me tag along for grocery shopping (Wegmans), I immediately bolt for the book aisle. And I proceed to just stand there with my arms crossed and my eyes fervent for the duration of her mom-things. . . . I glance at the harshly backlit magazines and my eyes skim over the cookbooks to the novels. I scan the shelves, the names of new YA and Fantasy titles twisting together in my head. And I just stare. Too late. She's being rung up by the cashier. So I FINALLY haphazardly wrest a book to sneak into the cart. 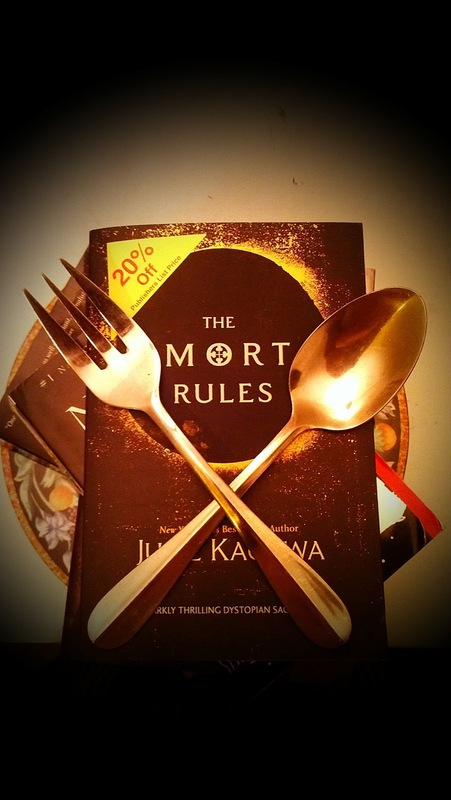 Books are food and I am always starving. I got this as a Kindle daily deal, and, to be completely honest, I'm pretty sure the major sell point with this for me was the allusion to the Small World rides at Disney parks (I'm just a sucker for A Small World). When I began reading this, I wasn't quite sure if I would like it. The story starts with Charlotte working at a perfume stand in Bloomingdales, musing about what she's learned at the mall. 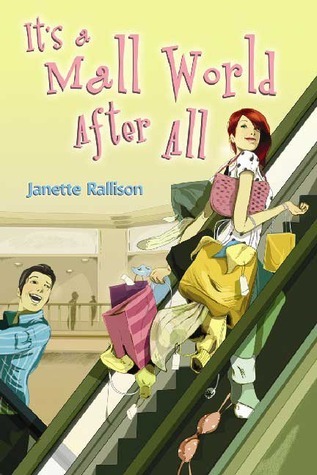 This sets up the major conflict of the story - Charlotte's best friend's boyfriend is at the mall with another girl. Let's start with Charlotte. Charlotte struggles with holding grudges and generally trusting people. I found myself conflicted about whether I was annoyed that she was holding grudges or annoyed that she considered forgiving the person who did such things to her (I guess I learned something from this book...). Despite her general judgy-ness, she's very sarcastic and sometimes funny, but, sadly, some of the humor was lost on me. There were points where I wanted to laugh because I could tell it was an attempt at humor, but it just wasn't that funny. I felt bad because I make jokes that no one laughs at all the time, so I kind of empathized. Don't get me wrong, there were many humorous points throughout the story, just fewer than intended. Then there's Charlotte's love interest - Colton. Oh, what is there to say about Colton... He starts off as a super arrogant know-it-all. He's able to one-up Charlotte in almost every way possible, which, of course, drives her crazy. Basically he's awesome because he's smart, strong, gorgeous, and insightful. However, there were many points in the story where, if I was Charlotte, I probably would have slapped him across his handsome face while yelling obscenities regarding his always thinking he's right. I guess I just get angry easily. Of course, we cannot forget the best friend, Brianna, and her boyfriend, Bryant. To be honest, their relationship kind of made me sick. Brianna is one of those girls who gives up her whole life for her boyfriend. I really don't understand why girls feel the need to give up everyone else who was ever important to them just for some guy. She even tells Charlotte not to make her choose. Like, I'm sorry, what did you just say to me? And then Bryant with his superior attitude. Ew. There are also some semi-interesting minor characters, including Kelly, Wesley, and Candice. Kelly is so desperate for Wesley to ask her out that she has Charlotte stalking him, which presents some really funny situations throughout the book with Wesley's extreme awkwardness. Candice is a rich snob and her dialogue with Charlotte is pretty hilarious. Besides the romantic aspect of this story, there was also Charlotte as a philanthropist. One day, Charlotte is approached by two boys whose families don't have a lot of money. From here, Charlotte convinces Colton to organize a gift giving event for some children like the two she met at the mall. Charlotte's concern for the children and giving nature was charming and heartwarming, especially at the final event. Also, there is the greater lesson regarding grudges. In middle school, Charlotte was tormented by her classmates with an assortment of bug jokes - jokes that she couldn't seem to let go of. Through her growing relationship with Colton, Charlotte learns about people changing and growing up as well as how to forgive people. Overall, I found this book to be charming. Going into it, I wasn't looking for anything deep or dramatic, and I got exactly what I wanted: a quick, fun, easy read, which ended up having a greater message about generosity and forgiveness. It was not the most well written book I've ever read, but I found I could look past that and still enjoy the story. Do you think it's ever justified to hold a grudge?